Ever since my best friend gave me a euphorbia cactus (aka Franklin pictured below) my senior year of high school, I have been obsessed with plants. Now it is to the point that every room in my house has plants in it. 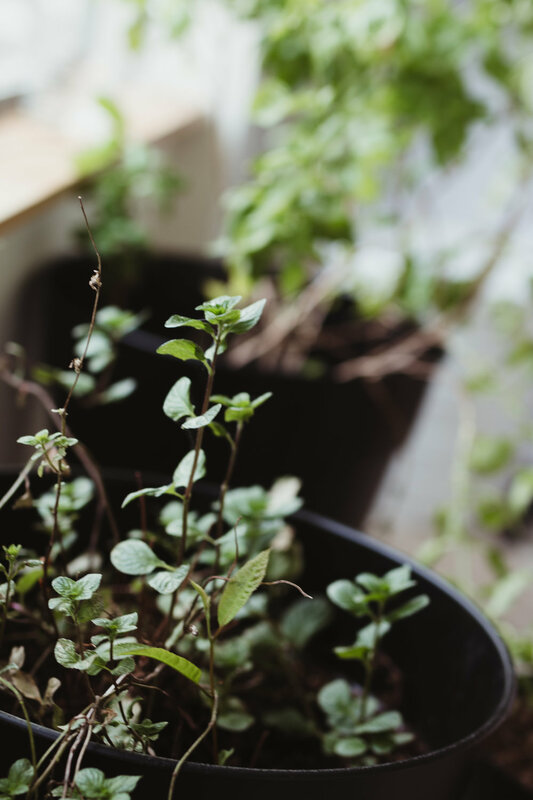 Plants do a number of positive things for us including the obvious (providing oxygen). I encourage all my friends to do research to figure out which plants will meet their needs and fit in their house! Coral Cactus like the Euphorbia has a lot of different varieties but are two of the easiest cacti to grow. Aloe Vera is the first plant I suggest to any newbie and is one of the most popular plants you will find any household. Aloe has medical benefits including helping with burns and can be consumed in smoothies! Next time you have heart burn try adding some aloe to your diet! 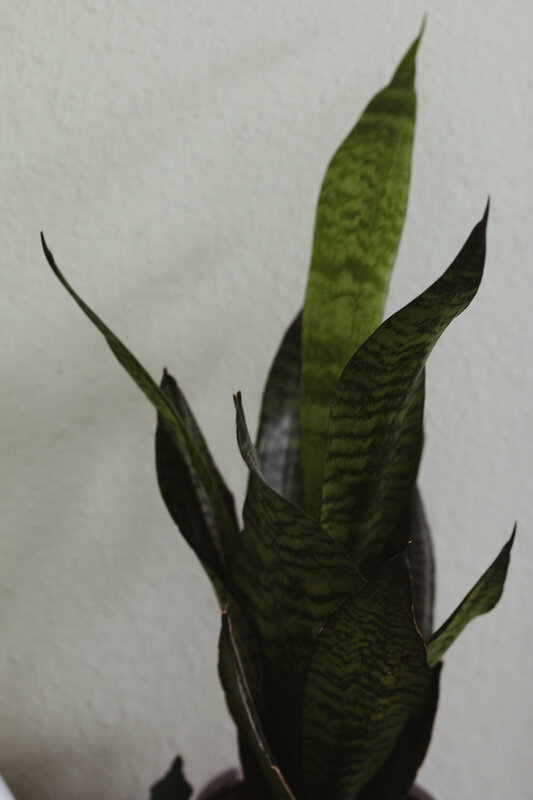 Mother-in-laws tongue: has great air-purifying capabilities, quick and easy to grow, and considered a sun worshiper! Next we have a paddle plant they grow up in a rosette like shape, also know to resemble lips. :* They grow in dry areas meaning minimal watering and attention. Behind it is the English Ivy another low maintence plant that is great for improving air quality. Last but not least : Herbs. Pictured on the right is some of my favorite herb to grow, mint. This big guy has struggled this winter but is coming back strong now that the sun is finally back out in Denton. This stuff grows like crazy so you will have an endless supply of mint leaves. Below is my other giant herb, basil. This plant is great to have around if you love to cook. A tip I learned from my best friend Michelle is that if you see little white flowers start to grow it means its time to trim. The last plant on the very bottom is one I have not identified so if you know the little guy hit me up in the comments below!